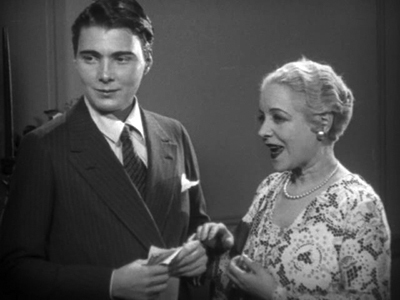 An androgynous Leatrice Joy gets dating advice from grandma in 'The Clinging Vine' (1926). Just back from London, where I made my accompaniment debut last week with music for 'Salt for Svanetia,' a Soviet propaganda film, at the amazing Kennington Bioscope in Lambeth. Before the film, I was asked to make remarks. So I couldn't resist: "For those fans of Soviet-era economic plan promotional films, I'm sorry to report that this one has no tractors in it. However, it does have some really great steam roller footage." I'll post a lot more about the Bioscope when I get photos back from a friend who was there. (I didn't take pics as my phone had died.) But it was a great time and I got to meet a lot of folks in the British silent film community. And yes, applause broke out when the steam roller appeared! Coming up: later this week I head out to Sioux City, Iowa to do music on a big old Mighty Wurlitzer for a silent comedy program on Sunday, Feb. 19 at the Orpheum Theatre. Very much looking forward to that, and would like to publicly thank Rick Mullin and everyone else with the festival for organizing this special presentation. But first, it's up to Plymouth, N.H. on Thursday to do music for 'The Clinging Vine' (1926), a seldom-screened romantic comedy with a surprising gender-bending premise. More details in the press release below. But because the screening date for this monthly series fell just after Valentine's Day, we figured it would be a perfect chance to showcase this unusual take on romance and gender stereotypes. The film will run on Thursday, Feb. 16 at 6:30 p.m. Hope to see you there! 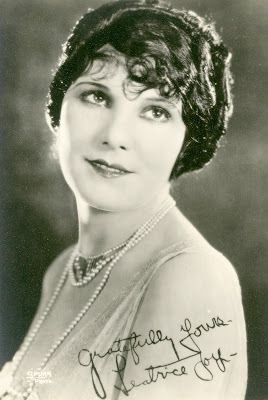 A more traditional publicity shot of Leatrice Joy, silent-era leading lady. PLYMOUTH, N.H.—Tired of Valentine's Day? The Flying Monkey has just the antidote. 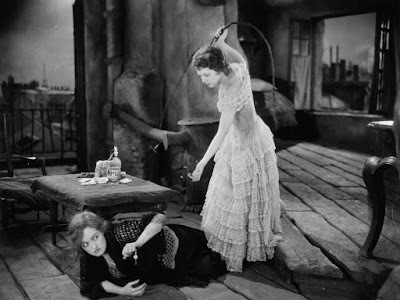 It's 'The Clinging Vine' (1926), a silent film comedy that turns traditional gender roles completely upside down. The movie, starring Leatrice Joy, will be screened on Thursday, Feb. 16 at 6:30 p.m. at the Flying Monkey Moviehouse and Performance Center, 39 South Main St., Plymouth. The program will feature live music for the movie by silent film accompanist Jeff Rapsis. The film is appropriate for all ages, making for a unique evening of family entertainment. Produced by Cecil B. DeMille, 'The Clinging Vine' tells the story of a successful hard-driving female business executive who yearns for romance. But she's frustrated in love because all men she encounters are intimidated by her ability and intelligence. After confiding in her wise grandmother, the two set about transforming her into a woman who men will find attractive. Considered daring for its time, 'The Clinging Vine' continues to earn comments from critics for its story and subject matter. In a recent online review, author Kevin M. Wentink wrote that "what, on the surface, appears to be a slight romantic comedy that playfully addresses the changing role of women in the postwar jazz age, 'The Clinging Vine' actually flat out states that all men are stupid, really really stupid, in every way imaginable." "And...even though women are by far superior to men in intellect and business acumen," Wentink wrote, "a woman would be far happier pretending to be dumber, and thus attractive to the Neanderthal, then she would to be a wise and successful spinster." "An equal opportunity offender of both sexes, 'The Clinging Vine' is one of the most daringly trivial programers to come out of Hollywood in the silent era." How's that as antidote for Valentine's Day? Often playing career girls dressed in mannish suits, or sophisticated society girls, Joy is generally credited with starting the bobbed-hair craze in the 1920s. In an early celebrity wedding, Joy she married superstar John Gilbert in the 1920s. She retired shortly after the advent of sound, but made occasional appearances in small supporting roles over the years. She died in 1985 at age 91. 'The Clinging Vine' is the latest in a monthly series of silent films presented with live music at the Flying Monkey. The series provides local audiences the opportunity to experience silent film as it was intended to be shown: on the big screen, in good-looking prints, with live music, and with an audience. ‘The Clinging Vine’ (1926) will be shown on Thursday, Feb. 16 at 6:30 p.m. at the Flying Monkey Moviehouse and Performance Center, 39 South Main St., Plymouth, N.H. Admission is $10 per person. For more info, call (603) 536-2551 or visit www.flyingmonkeynh.com. For more info on the music, visit www.jeffrapsis.com. This weekend I hop across the pond to London, where I'll make my U.K. debut as a silent film accompanist. I'd say "European" debut, but I'm not quite sure if Britain is still included in that category. 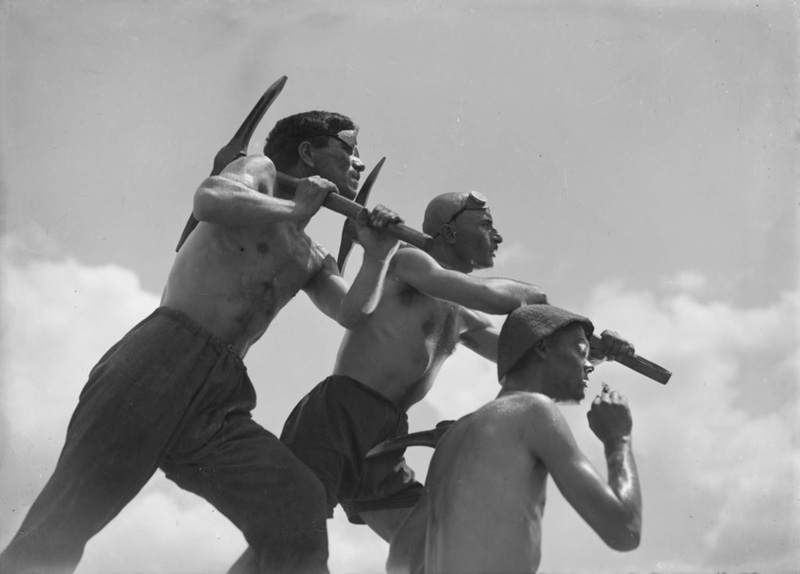 Well, Europe or not—the show is Wednesday, Feb. 8 at 7:30 p.m. at the Kennington Bioscope, a venue within London's Cinema Museum where silent films are regularly screened. Screenings are free and open to the public, but one apparently needs an invitation to attend. For more info, visit www.kenningtonbioscope.com. 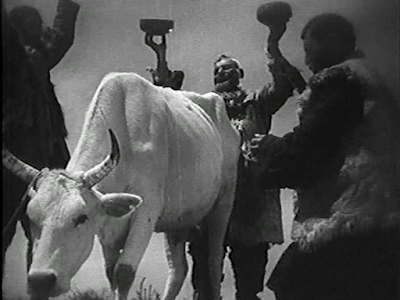 And the film I'm accompanying is...'Salt for Svanetia' (1930), a Soviet propaganda film about how a remote mountain village benefits from the wonders of Stalinist socialism! People laugh when I describe this film, but it's actually an important film in terms of how it uses the then-new medium of cinema to communicate a powerful message. 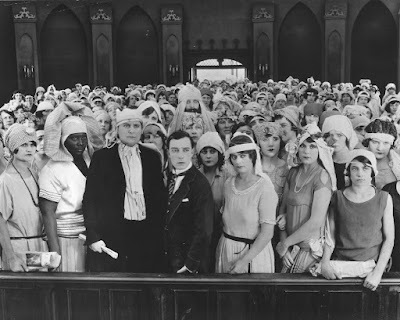 I'm not sure how much of my usual fan base will make it to London this week, but the Kennington Bioscope screenings are well known in the vintage film community. No less a figure than Kevin Brownlow often participates in the programming. And now...me! But I must thank Amran Vance and everyone in London's silent film scene for the invitation to sit in at the Bioscope, which has its own roster of regular accompanists. In fact, someone else (not sure who) will handle the first half of the evening, which is highlighted by a cut-down three-reel version of 'Tales of 1001 Nights' (1921), a British adaptation of the Scheherazade story. The edition survives only in the obsolete 9.5mm film gauge, and that's what we'll be seeing. For me, the only worry is that the screening is in the evening of my first day in London, so I have to be smart about managing the inevitable jet lag after an overnight trans-Atlantic flight. But if jet lag ultimately claims me before the opening titles of 'Salt for Svanetia,' it's comforting to know there's no shortage of accompaniment talent at the Bioscope. Speaking of air travel and accompaniment: the same thing happens on the way back to Boston on Sunday, Feb. 12. We're supposed to arrive mid-afternoon. 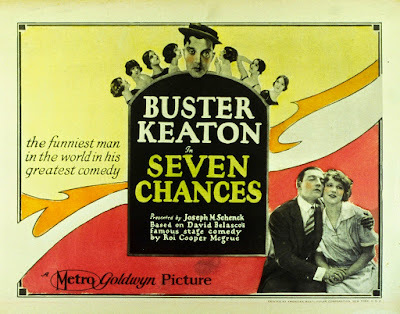 And that evening at 7 p.m., I'm scheduled to accompany Buster Keaton's 'Seven Chances' (1925) in a Valentine's Day screening at the Aeronaut Brewery in Somerville, Mass. More info about that screening in the press release posted below. Playing on Sunday, Feb. 12 at 7 p.m. at the Aeronaut Brewing Co., Somerville, Mass. So after we land and (I hope) clear customs and immigration, I'll stay in Boston (instead of heading to N.H.), where I'll have dinner at my favorite Peruvian restaurant, Macchu Chicken in Union Square. And then I'll head over for the Buster show at the Aeronaut, where my keyboard and sound gear (and suit jacket, too!) are already packed away in a storage area. I actually went down last night to drop my stuff at the Aeronaut, which was in the midst of a big Super Bowl party. At the time I came through, the Pats were down 21-0 and everyone was looking kinda glum. Would have loved to see the place about two hours later! I drove down to Somerville following a really nifty screening of '7th Heaven' (1927) at the Town Hall Theatre in Wilton, N.H. I say 'nifty' no only because the music came together quite effectively, I thought, but also because of some sheet music! Last fall, a woman approached me after screening in Wilton and gave me sheet music she'd found for 'Diane,' a tune by Ernö Rapée (that's him on the right) released when '7th Heaven' was playing in theaters. At the time, Diane asked if it was possible to program '7th Heaven' at the Town Hall Theatre, and for me to use the sheet music in accompanying it. Why? Because, I recall, her parents often spoke of the film when she was a girl. That was a long time ago, and her parents were now long gone, and she'd never had a chance to see it. Well, we aim to please! I put '7th Heaven' on the schedule as our "pre-Valentine's day tear-jerker." I also Rapée's sheet music on my piano, where I started getting it in my head and under my fingers. So yesterday, in introducing the film to the Super Bowl-reduced audience, I mentioned all this, but didn't see the woman who had given me the music. That is, until she raised her hand, which was right under my nose: turns out she was sitting in the front, directly behind me! As I mentioned, I thought the screening went well overall. So did she, evidently—afterwards, she came up and gave me a big, prolonged hug! Speaking of prolonged hugs, here's the press release for our Valentine's Day screening of Buster Keaton's 'Seven Chances' (1925) on Sunday, Feb. 12 at 7 p.m. at the Aeronaut Brewing Co. in Somerville, Mass. See you there. And XO! SOMERVILLE, Mass.—When words aren't enough, why not let a silent movie do the talking? That's the idea behind a Valentine's Day silent film program on Sunday, Feb. 12 at 7 p.m. at the Aeronaut Brewing Co., 14 Tyler St., Somerville. 'Seven Chances' (1925), a classic Buster Keaton romantic comedy, will be shown with live music by silent film accompanist Jeff Rapsis. The program includes a Keaton comedy short preceding 'Seven Chances,' one of Keaton's classic full-length feature comedies. In 'Seven Chances,' adapted from a stage play, the story finds Buster about to inherit $7 million if he's married by 7 p.m. on his 27th birthday—which is that very day! Buster's hurried attempts to tie the knot go awry, but then a newspaper story changes the game, creating an avalanche of would-be brides who chase Buster as he searches for his one true love before the deadline. 'Seven Chances' was the first screen adaptation of the now-familiar story, since used in movies ranging from the Three Stooges in 'Brideless Groom' (1947) to Gary Sinyor's 'The Bachelor' (1999) starring Chris O'Donnell and Renee Zellwinger. "We envision our pre-Valentine's Day event as a throwback to the days when people celebrated by getting together as a community," said Christine Platzek of Aeronaut, a craft brewery that opened in 2014. "If you can put all the original elements together, the films of early Hollywood still come to life," said Rapsis, a silent film accompanist who performs frequently at the Aeronaut. "These are the films that caused people to first fall in love with the movies." Buster Keaton stands today as one of the silent screen's great clowns. Some critics regard Keaton as the best of all; Roger Ebert wrote in 2002 that "in an extraordinary period from 1920 to 1929, (Keaton) worked without interruption on a series of films that make him, arguably, the greatest actor-director in the history of the movies." "We felt a vintage silent film program with live music would be a great way to create Valentine's Day memories," Platzek said. "We encourage everyone to join us, whether you're on a date or on your own. We'll all end up laughing together!" 'Seven Chances' (1925) starring Buster Keaton will be shown on Sunday, Feb. 12 at 7 p.m. at the Aeronaut Brewing Co., 14 Tyler St., Somerville, Mass. Admission is $10 per person. Tickets are available online at www.eventbrite.com; search on "Aeronaut Brewery." For more info about Aeronaut Brewing, visit www.aeronautbrewing.com. For more information about the music, visit www.jeffrapsis.com. Raymond Griffith and Betty Compson in 'Paths to Paradise' (1925), screening this Saturday in Campton, N.H.
Just another weekend here in wintery New Hampshire. The New England Patriots are in the Super Bowl (no news there) and I'm doing music for silent film screenings in the hamlets of Campton, N.H. and Wilton, N.H.
First up; an annual pot-luck-supper-and-silent-movie combo at the Historical Society of Campton, N.H., a picturesque small town in the foothills of New Hampshire's White Mountains. I'll haul myself up there late Saturday afternoon and set up everything in the small hall. Then it's supper at 5 p.m. followed by movies at whatever time everyone finishes cleaning their plates. This has become one of my favorite annual gigs mostly because the people are great, but also because the hall really is small, which means everyone has to pack in. And this creates an energy that leads to explosive audience reactions and a remarkable shared experience, which is one of the great and enduring glories of silent film. This year's program is a little daring in that it features Raymond Griffith, a star that most people today have never heard of. But I think the good folks of Campton, after several years of silent film programs, are ready for something out of the ordinary. We'll see! The screening is open to the public and more info is available in the press release pasted in below. Then Sunday, Feb. 5 brings the SUPER BOWL, but also a screening of the Frank Borzage-directed drama '7th Heaven' (1927) at the Town Hall Theatre in Wilton, N.H.
Janet Gaynor whips up some revenge in '7th Heaven' (1927). In Wilton, we usually run silent film with live music at the end of each month. But this February, I'm in Topeka at the Kansas Silent Film Festival that weekend. And the weekend before that, I'm in Sioux City, Iowa at the Sioux City International Film Festival. And the weekend after the last weekend, I'm in Cleveland at the Cleveland Museum of Art. So we rescheduled Wilton for the first weekend in February, and programmed the romantic drama '7th Heaven,' thus turning it into a "Super Bowl Widows" event as well as a pre-Valentine's Day screening. Showtime in Wilton is Sunday, Feb. 5 at 4:30 p.m. Admission is free, with donations accepted. One tip: bring lots of tissues and hankies! And here's a secret: whatever your reason for attending, we'll be done in time for you to see the kick-off of the Super Bowl LI! CAMPTON, N.H.—He was a silent film actor who really couldn't talk, thanks to a childhood vocal injury. He was Raymond Griffith, the 'Silk Hat' comedian, whose popularity in the 1920s rivaled that of Charlie Chaplin and Buster Keaton. 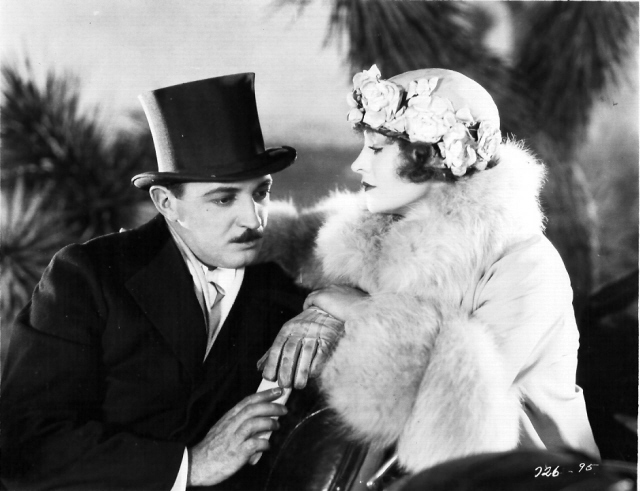 See for yourself on Saturday, Feb. 4, when the Campton Historical Society screens 'Paths to Paradise' (1925), one of Griffith's best surviving titles. The program also includes a short silent comedy, 'Big Business' (1929), starring Stan Laurel and Oliver Hardy. In screening 'Paths to Paradise,' the Campton Historical Society hopes to provide a window into a lost era of entertainment. Most of his starring feature films have since disappeared, causing Griffith to be virtually unknown today. But the elegantly dressed comic, who as a youngster attended St. Anselm Prep School in Goffstown, N.H., was among the most popular movie actors of the 1920s. "Griffith's character was that of a quick-thinking gentleman, usually dressed in a top hat and a cape, who enjoyed outwitting con artists and crooks at their own game," said Jeff Rapsis, a New Hampshire-based silent film accompanist who will improvise music for the program. "It turns out he was very different from Chaplin or Keaton, and so were his films—they seem a bit more cynical and so perhaps more modern. But we've shown them before and they hold up well with a live audience today." 'Paths to Paradise' (1925) stars Griffith as a con man who competes with a feisty female jewel thief to steal a heavily guarded diamond necklace. The film is highlighted by a wild car chase filmed on location in the California desert. Unfortunately, all existing prints of 'Paths to Paradise' are missing the final 10 minutes. But the film ends at a point that completes the plot and provides a satisfying finish. "The majority of silent films have disappeared completely, and those that do survive are often missing pieces," Rapsis said. "Many, including 'Paths to Paradise,' have come down to us like the Venus de Milo—the arms are missing, but it's still a work of art worth appreciating." 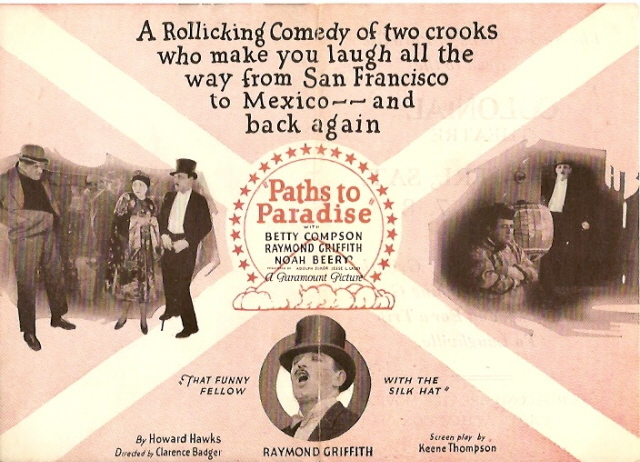 'Paths to Paradise' was prodcued by Paramount Pictures, where Griffith was under contract in the 1920s as one of the studio's leading stars. Born in Boston in 1895, Griffith injured his vocal cords at an early age, rendering him unable to speak above the level of a hoarse whisper. After appearing in circuses and attending at least one year (1905-06) at St. Anselm Preparatory School in Goffstown, N.H., he went on to serve in the U.S. Navy prior to World War I and in 1915 wound up in Hollywood, where the movie business was already booming. Early on, Griffith worked at Mack Sennett's Keystone studio, where he developed a reputation as an excellent actor and a superb comedy writer and director. He eventually gravitated to behind-the-camera duties, serving as Sennett's right-hand man for a time. He eventually moved to the then-new Paramount studios in the early 1920s, where he began to appear again in on-camera roles. Griffith's mastery of character parts made him immediately popular, prompting Paramount to star him in his own movies starting in 1924. Ironically, his ability to speak caused him to develop pantomime abilities just to get through life—excellent training for sielnt film. In the next few years, Griffith completed a dozen feature films, most of which today are lost due to neglect or improper storage. "Though he's not as well known today as Charlie Chaplin or Douglas Fairbanks Sr., Raymond Griffith was doing some really good work during the peak of his career," Rapsis said. "It's great that the public will get a chance to appreciate Griffith films at the Campton Historical Society." The program at the Campton Historical Society aims to recreate the silent film experience as early movie audiences knew it: on the big screen, with live music, and with an audience. 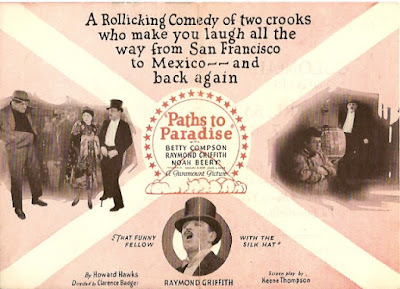 Raymond Griffith's 'Paths to Paradise' (1925) will be shown with live music on Saturday, Feb. 4 at 6:15 p.m. at the Campton Historical Society, Campton Town Hall, Route 175, Campton, N.H. The progrm is free and open to the public, and will be preceded by a pot luck supper starting at 5 p.m. For more details, visit www.camptonhistorical.org.